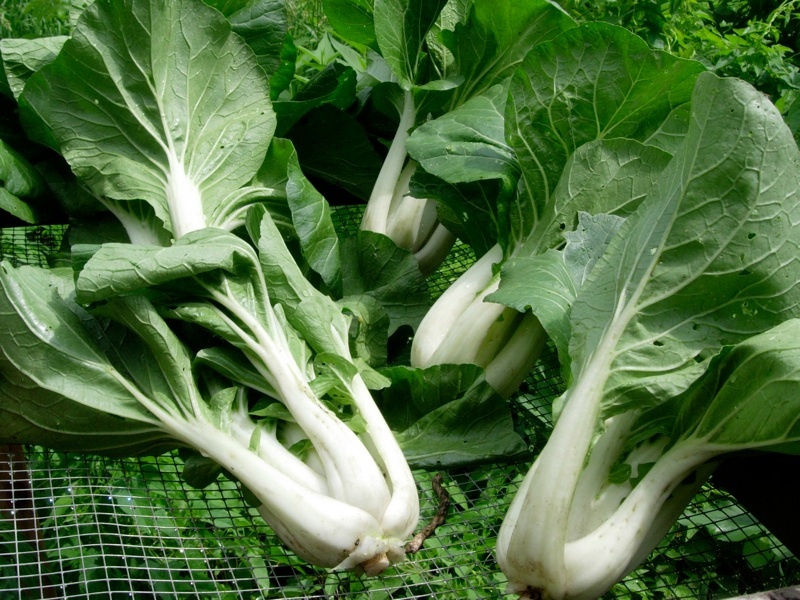 Bok Choy is a Chinese Cabbage. Farm News: Week 3 of 18, will hopefully bring us sunshine and less rain…the possibility of 4 floods in two years seems one too many, “Or 3 too many” says Farmer Adam. We do live in the MN River Valley so it is to be expected. An update on broccoli… as it is listed as part of June harvest, the 100 degree days we had a few weeks ago bolted the beautiful crowns that we anticipated sharing in the first deliveries. Therefore, we have come to the conclusion that broccoli will be a fall treat. Farm News: Harvest for week two will be similar to week one. Peas are new this week as well as holey arugula! This week’s harvest of arugula is quite holey due to many very little beetles that feed in the fields. This is the first year we planted arugula and we quickly learned that it is another crop that next year will need to be covered with row cover ASAP. As for this year it is still really tasty despite the tiny holes. The first harvest of spring mix and arugula was from the greenhouse, and protected from the elements and almost dirt free. In order to keep it fresher we will most likely harvest spring mix and arugula and not rinse it from the field so you will notice a bit of dirt on the greens. The rest of the produce does get dunked in cold water to remove the field heat and most soil. Lastly, we are thankful for great drainage in the fields! Despite the wet and cold Spring, we are off to a good start! Farm News: Yeah the first delivery of the 2011 season! We are excited to be serving about 50 families – our goal was 30 shares which was met by selling 36 half shares and 12 full shares. 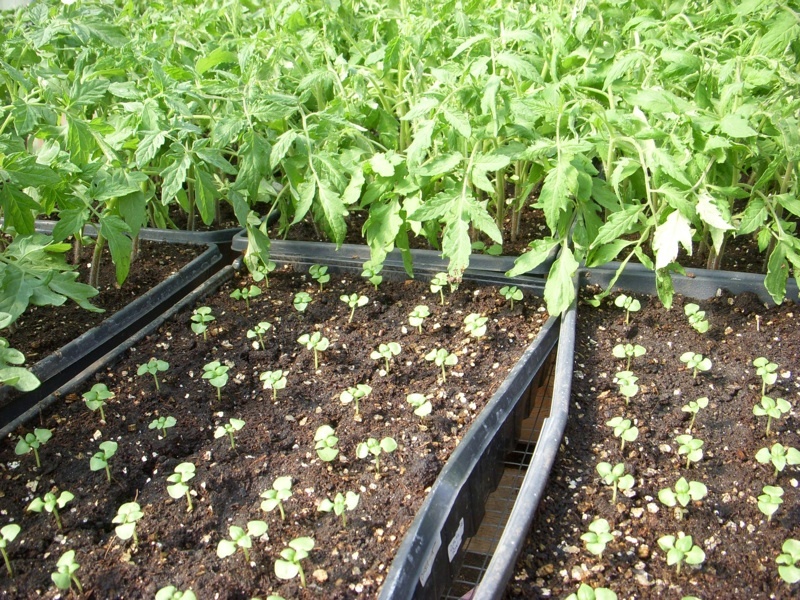 Despite, the wet and cooler spring, all of the planting in the field is on schedule. Our latest challenges however are the pesky bugs on some winter squash and the cucumber plants. Both have been covered with row cover so hopefully the plants will bounce back. Last year, we were overwhelmed with potato bugs and this year we have squished many mating and hundreds of eggs. We have also noticed lots of beneficial bugs on plants, which is great to see and reinforces that many insects contribute to sustainable farming. We will keep you updated on the news at Living Land Farm. 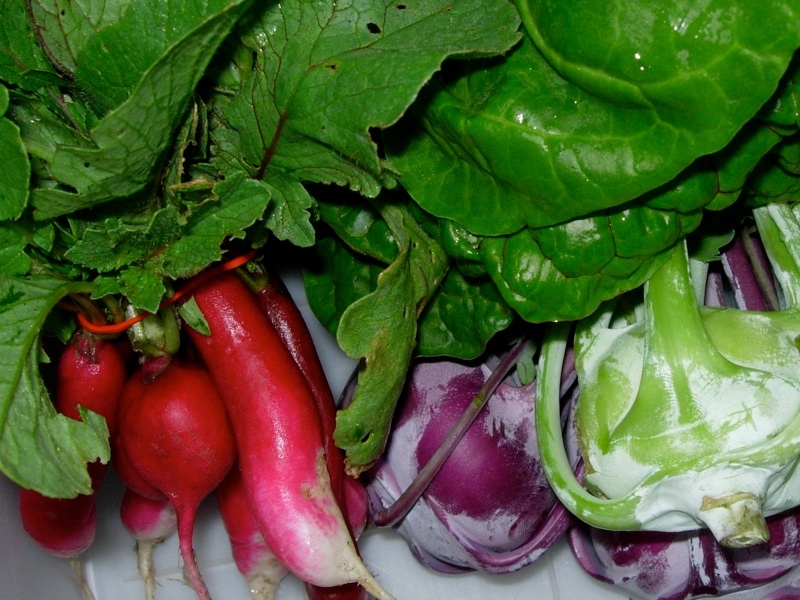 You can watch the veggies grow and read about what’s happening at the farm.